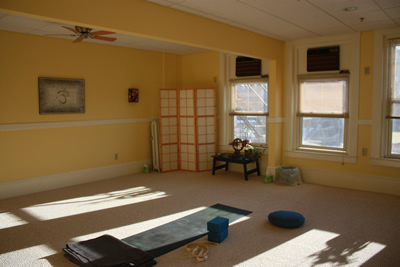 Dean began the practice of hatha yoga in 1988 out of curiosity. This curiosity turned into taking a leave of absence from work to live in an ashram and study hatha yoga full time in 1992. After returning from the teaching residency Dean began what has been a continuous weekly teaching practice at the The St. Johnsbury Center for Well Being for the last 25 years. Over the years as a result of studying with other teachers; Beryl Bender, Jonny Kest, Charles Matkin, Mark Whitwell, David Life & Sharon Gannon, Paul Grilley, Aadil Palkhivala and many others, Dean’s class has evolved into a hybrid of many styles. Amanda grew up in Northern Vermont skiing, cycling, hiking and generally enjoying the outdoors. After a skiing accident that resulted in multiple knee surgeries she became fully committed to a wellness regime that included Spinning and yoga. For her, it was not only a way of healing but a commitment to a healthy lifestyle. 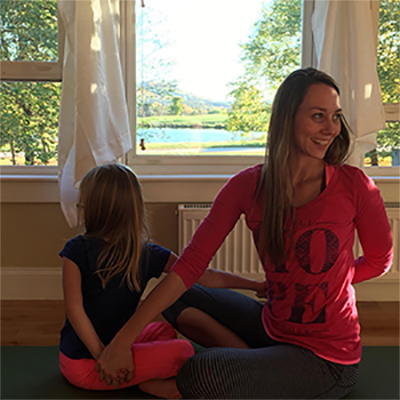 She became certified as a yoga teacher through the Shiva Shakti School in Maine in September of 2014. Amanda has a BS in Wellness and Alternative Medicine through Johnson State College and is also a certified Spinning instructor via Mad Dogg Athletics. As a certified yoga teacher she loves sharing her passion for Spinning, yoga and general wellness with everyone. Amanda feels that most people need some empathy and compassion in life and that she has the tools to offer them a safe place to explore finding their best possible self. Amanda truly believes that the body follows the mind and that if one can commit their mind to health and well being their body will follow. "Whether you think you can or think you can't, you're right." Her belief in your ability to succeed is greater than your doubt. Marci came to the practice of yoga through Dean's weekly Hatha class in 2012, looking for ways to deal with life's stresses. After a Kundalini workshop in Dean's studio in the summer of 2016, she began to explore this practice independently with online resources and manuals. 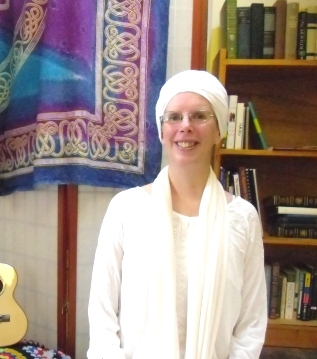 She then went on to complete Level 1 (200-hour) Kundalini yoga teacher training at the Guru Ram Das Ashram in Millis, Massachusetts in June of 2018. While finding aspects of Kundalini yoga daunting at first, Marci also experienced its deeply transformative benefits--moving from the chaos of "emotion and commotion," in the words of Yogi Bhajan, to a greater degree of inner calmness and even a newfound sense of joy in life. For this reason she continues to develop her own daily practice and is grateful for the opportunity to share these techniques with others. The basic structure of every Kundalini class includes an exercise set (or "kriya"), deep relaxation, and silent or chanting meditation. Exercises can be physically demanding or more gentle and heart-centered. Marci's class will focus on the fundamentals of this practice for the first few months and calibrate the intensity level based on student needs. No prior experience required. Just an open mind to try the experience and a little fearlessness. Anyone can meditate, with a little training and the discipline to keep coming back to it again and again. The class is physical but not so imposing as to intimidate newcomers to the practice. Dean maintains a daily practice and is studying and evolving both his personal practice and teaching on an ongoing basis. "Each time you judge yourself you break your own heart." "Yogic practice is about getting under the moment or activity." "Without self-acceptance there can be no accurate self-observation." "All spiritual journeys have a destination of which the traveller is unaware." "In the final analysis, it is wise to remember that in our vision of yoga, as in our vision of all things, we see the world not as it is, but as we are."